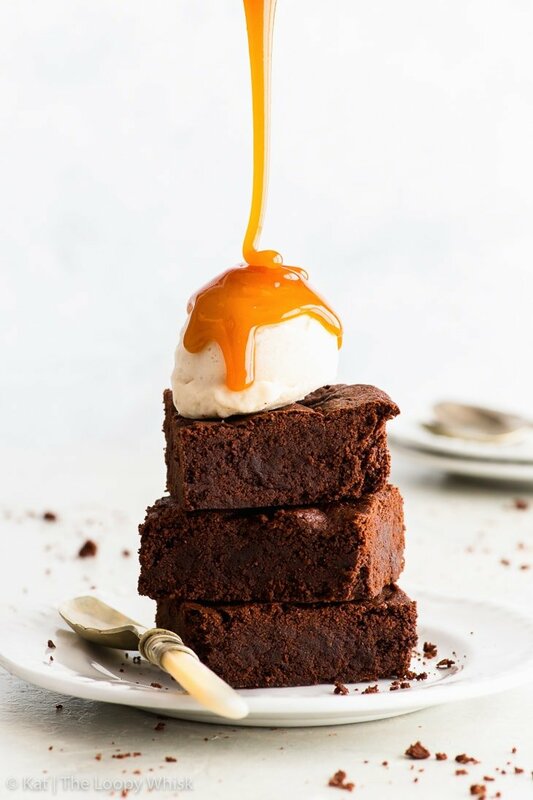 Home » Recent Posts » The Best Vegan Chocolate Brownies. Ever. 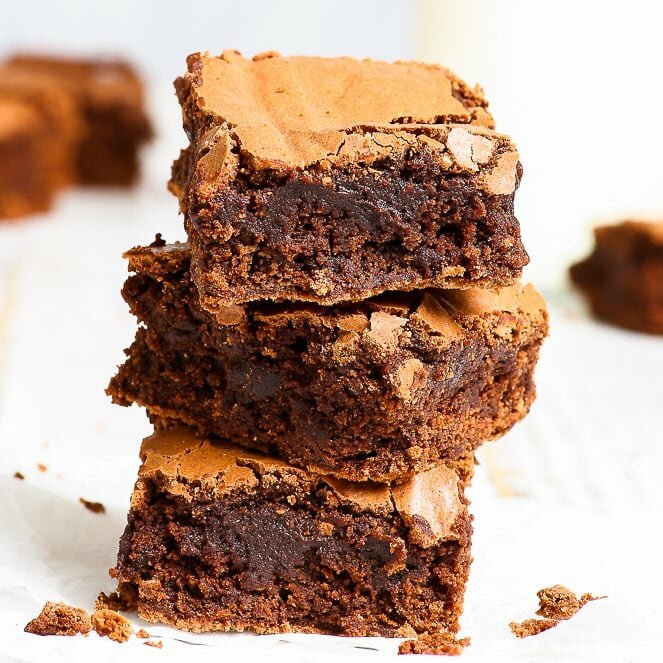 These vegan chocolate brownies will blow your mind. 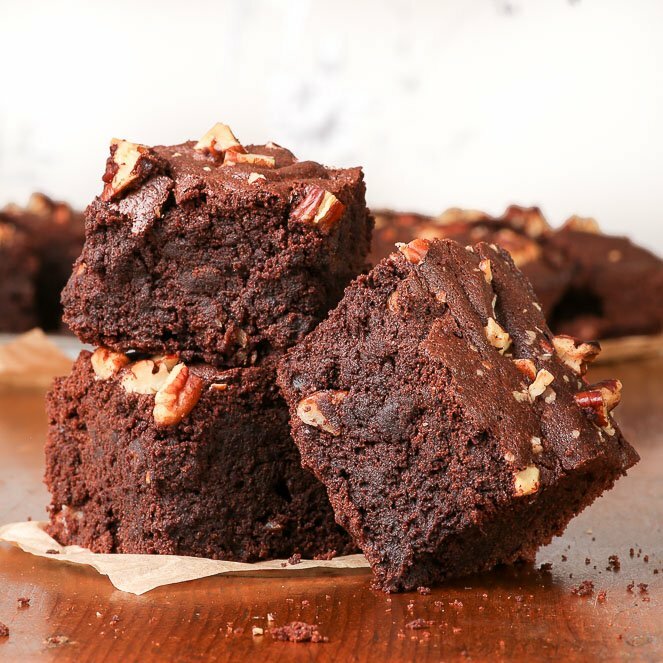 Decadent, fudgy and with an intense chocolate flavour, they are everything you’d want a brownie to be. 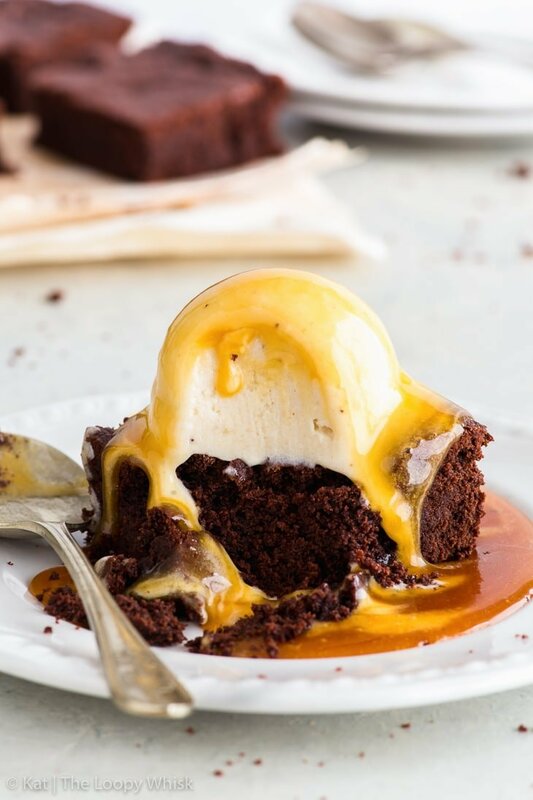 Perfect with a scoop of vegan ice cream and smothered in a vegan salted caramel sauce. Fudgy. Gooey. 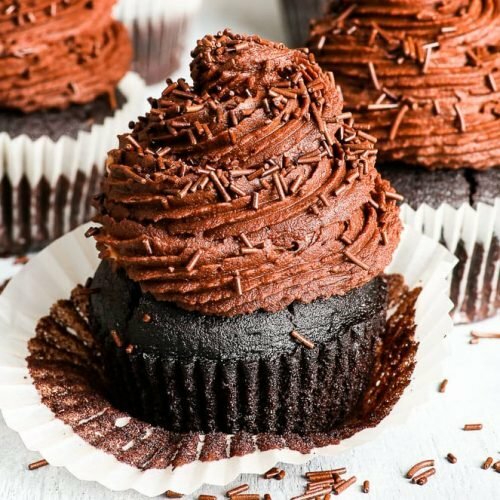 Chocolatey. Decadent. Intense. Dangerous. Also: easy and quick to make. And it all comes down to that wonderful miracle that is aquafaba. I warned you, didn’t I? There’s gonna be a whole lot of aquafaba on this blog in the next few weeks and months. Because, you guys, I’m hooked. 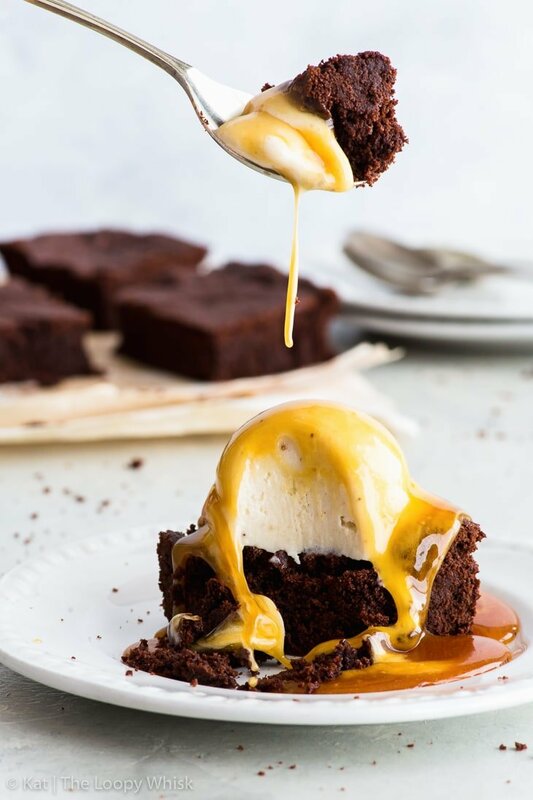 And as if fudgy brownies weren’t enough… let’s put a scoop of (vegan) ice cream on them and absolutely smother everything in vegan salted caramel. 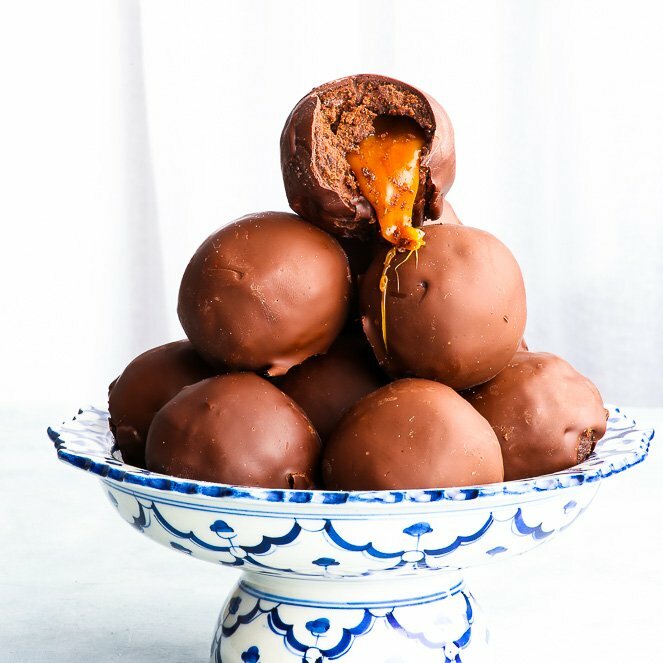 Because… we can, and because chocolate and caramel are perfectly good reasons for doing things. 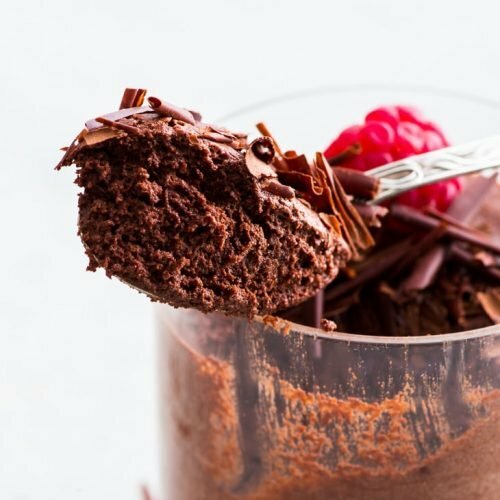 The result is an out-of-this-world vegan dessert that has me drooling just thinking about it. 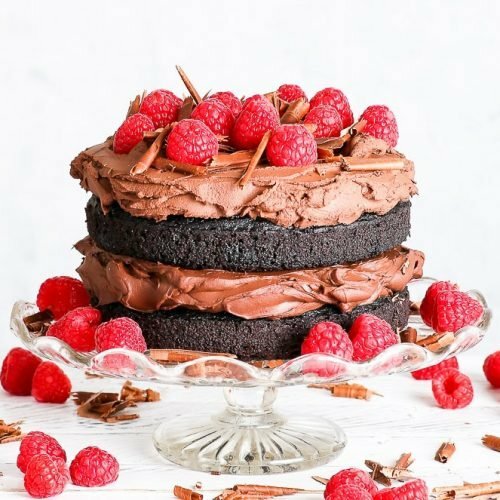 It’s the perfect vegan dessert. There, I’ve said it. It has everything you want and need in a dessert. The flavour, the texture, the comfort food vibe… what more could you possibly want? 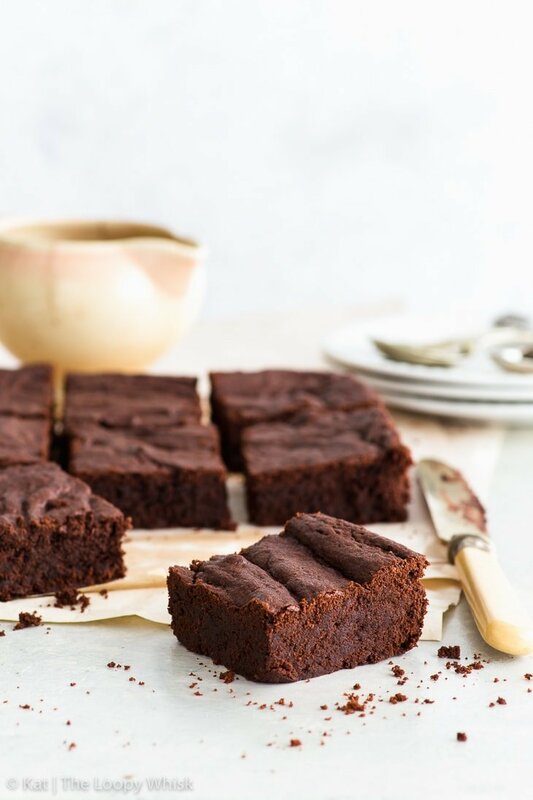 Of course, you can eat these vegan chocolate brownies on their own. 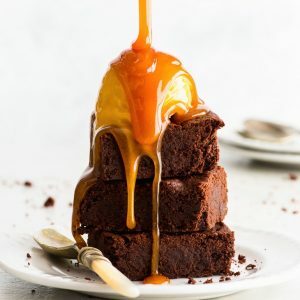 They’re delicious just as they are, and there’s no rule that you have to add the ice cream and that you have to drizzle on a generous helping of luxurious salted caramel sauce. But… actually, now that I think of it, let’s make this the new rule. 1) Straight out of the pan, standing above the counter because you just couldn’t wait. 2) With a scoop of ice cream and positively drowned in salted caramel. Raise your hand if you agree. Everyone? Thought so. Pre-heat the oven to 350 ºF (175 ºC) and line a 8 x 8 inch square baking pan with baking/greaseproof paper. In a heat-proof bowl above simmering water, melt the chocolate and coconut oil. Set aside to cool until warm. In a stand mixer, or using a hand mixer with double beater attachments, whisk the aquafaba, sugar and cream of tartar for at least 10 minutes, until stiff peaks form. Fold the melted chocolate into the whipped aquafaba until you get an even mixture with no streaks of chocolate. Be gentle here - you don't want to lose too much air! Sift together the flour, cocoa powder, baking powder, baking soda and salt, and add to the chocolate mixture. 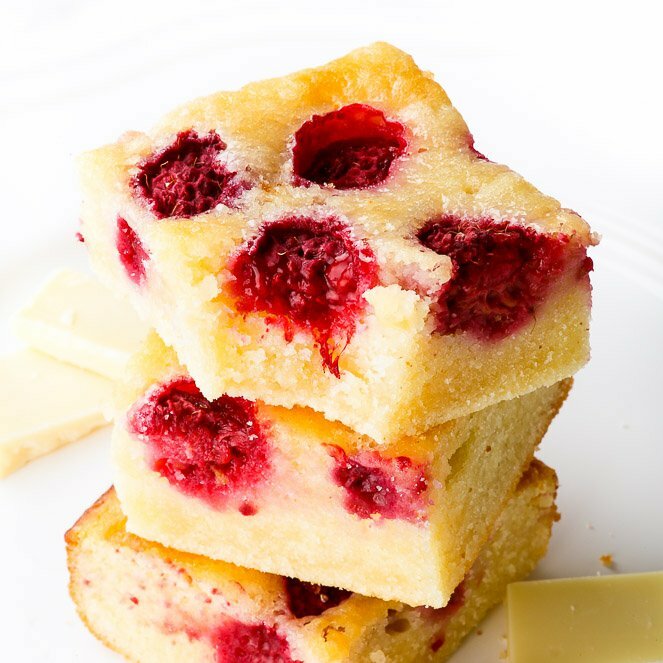 Gently fold everything together until you get a smooth mixture with no flour clumps. Transfer to the lined baking pan, and smooth out the top with a spatula or spoon. Bake in the pre-heated oven at 350 ºF (175 ºC) for 18 - 22 minutes, or until an inserted toothpick still comes out slightly "dirty" (with plenty of moist crumbs). Note 2: For the vegan ice cream, I've blended 2 frozen bananas with a few tablespoons coconut cream, and froze the (n)ice cream again for 1 - 2 hours. It's easy and super delicious! 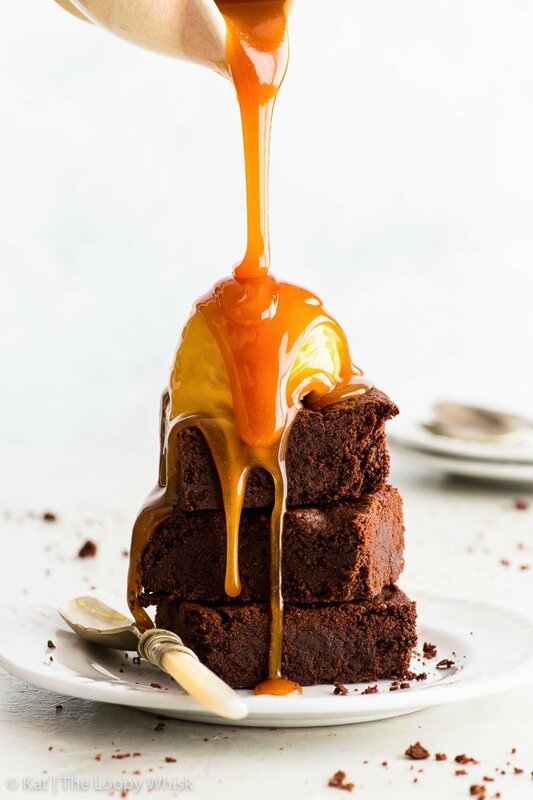 For the vegan salted caramel sauce, I've caramelised 100 g white sugar until melted and dark golden in colour, and then added a few tablespoons of coconut cream until I reached the desired consistency. 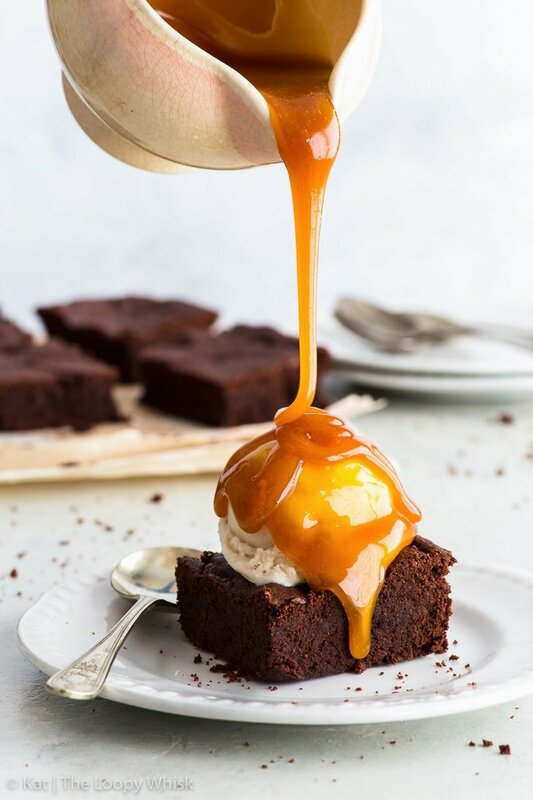 (To check the consistency, spoon a small amount of the caramel sauce on a plate and allow to cool. The sauce should be pourable, but no too runny.) Remember: it's easier to add more coconut cream than to take it away!